US Army Staff Sgt. 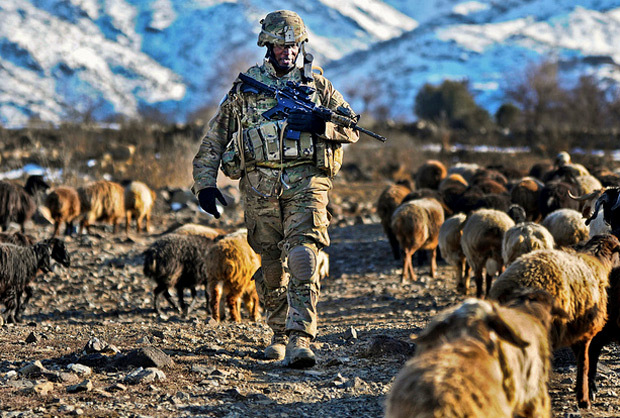 Jonathan Price, a squad leader assigned to 3rd Platoon, Blackfoot Company conducts security checks near the village of Narizah located in the Tani district of Khost Province, Afghanistan, February 10, 2012. Photo by the US Army.